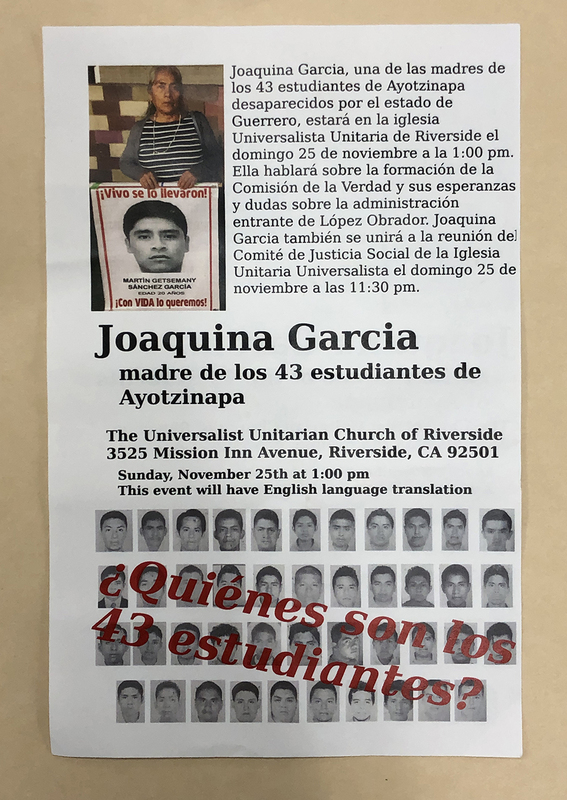 Flyer for the 43 missing students from the Ayotzinapa Normal School. Joaquina Garcia, one of the mothers of a missing student, spoke on the formation of The Truth Commission and their hopes and doubts about the incoming administration of Lopez Obrador. 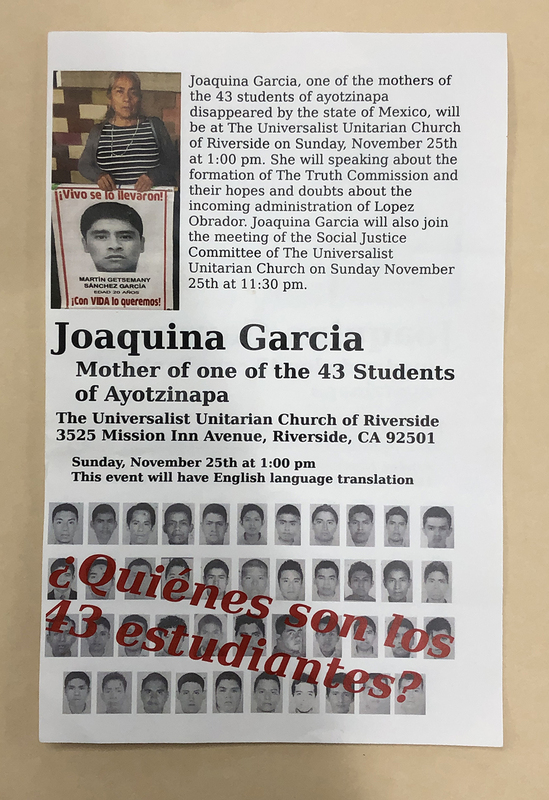 The event took place at the Universalist Unitarian Church of Riverside Sunday, November 25th at 1PM. This event provided English Language translations by Antenna.